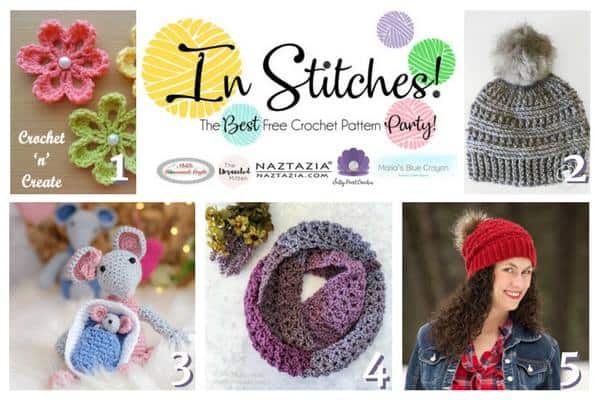 This week, we have our first top 5 best free crochet patterns! Check out the Top 5 Best Free Crochet Patterns for last week’s link up! If you aren’t familiar with link parties, don’t worry, I’ll fill you in! Basically, each Monday we will share 5 top free crochet patterns from the free patterns we have gathered throughout the week. Be sure to subscribe to get these patterns right to your email!